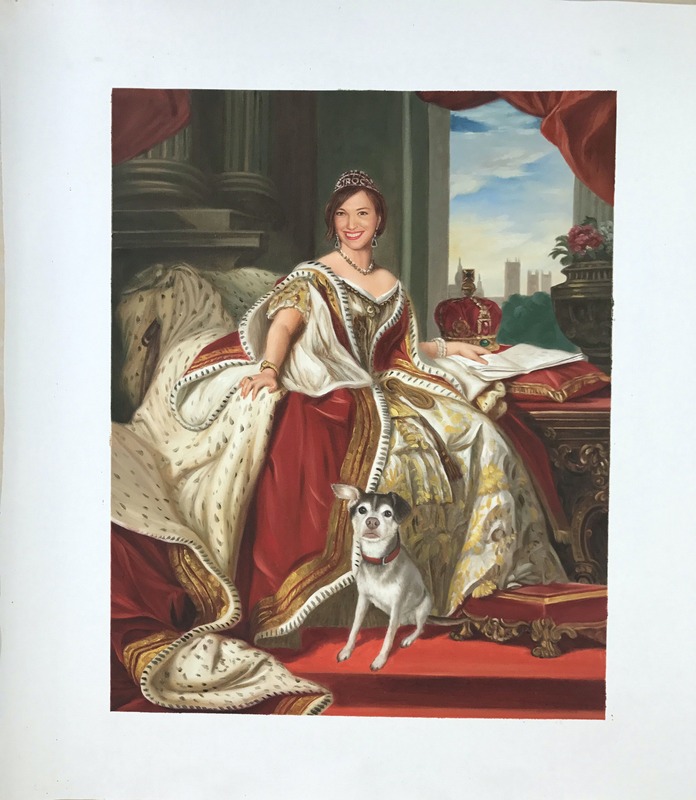 What I'm looking for is a copy of the old queen painting, but with Carly's face put onto the queen. Also, for the dog to be painted to look like lukas. Please just paint a normal crown, not a "CIROC" crown. Also, Lukas is a little bit larger than the dog in the original painting, so can you make the him look just a little bigger.